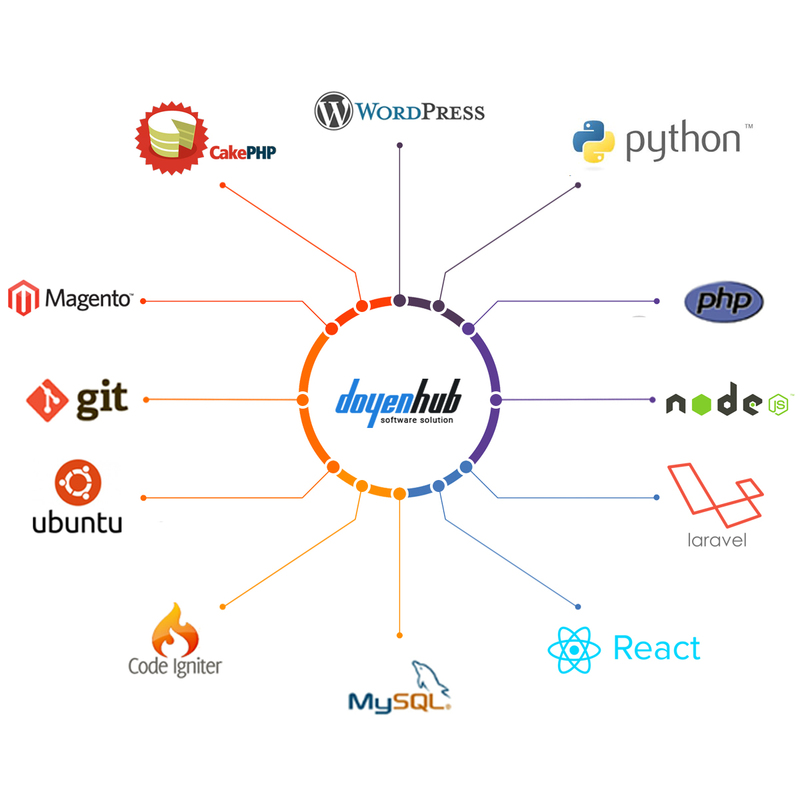 DoyenHub is a leading and globally accepted IT consultant and solution provider in open source platform and e-commerce technology. IT staff augmentation is the most basic outsourcing model for when you want to control and manage your offshore IT development staff in your own way. A fixed cost is the most suitable model for entrepreneurs for whom technology is a major obstacle to achieving their business goal. Align your ultimate business goal with execution process using right IT solution. Setup an online business quickly with DoyenHub. Take a strategic advantage of our magento certified developer to setup your online Store quickly. DoyenHub is a leading and globally accepted IT consultant and solution provider in open source platform and e-commerce technology. Our core strength is in IT services such as custom business software applications development, E-commerce solution, Web Design, Setting up Content management system. We are expert in different fields regarding open source platform. We can convert the vision of any entrepreneur into reality by giving them technical support with doyen team. We always support our client base to make their goal as our target and together walk with them to reach that target using our expertise of following fields. A full service eCommerce agency; We provide more than just eCommerce solutions. We are the experts when it comes to eCommerce strategy, platform implementation, support and maintenance and even performance. Open source CMS development solutions ranging from Plugin development, Responsive Theme development and integration to meet business requirements. With long-standing experience across the full software development lifecycle and more than 40000 hrs completed, we build secure and scalable web applications. Our PHP expert team has an enormous experience in exploiting the benefits of PHP. Do visit our PHP Portfolio for various PHP application development we have done. Magento is World’s Most Flexible Commerce Platform. Our Certified Magento team helps clients to build a successful e-Commerce store that enhances online sales and satisfy their customers’ expectations. We have rich experience in developing dynamic websites, custom web applications using Python and Django. Leading by highly qualified and sharp-skilled IT professionals, and having diverse experience in various business verticals we provide highly scalable and efficient IT solutions suitable for the small, medium and large-scale organization. Our flexible and efficient Software development models make you easy to deal with us. Being even non-technical fellow, you would able to measure the productivity and the progress of the work. We believe that honest and trustful relationship with our every client is an asset for us. We appreciate this asset by providing high-quality service with dedication until our clients get satisfied. Leading by highly qualified and sharp-skilled IT professionals, DoyenHub committed to provide the out-of-the-box, highly scalable and efficient IT solutions suitable for the small, medium and large scale organization. We have proven track k record of delivering highly reliable and innovative software solutions. Very happy with the start and present work, that sets the project to a successful completion. Highly recommended! Very professional team! Brilliant communication and problem-solving skills. Happy with the project and delivery. Five Stars all the way through! The team did an amazing job capturing a very complicated ask and translating it flawlessly and smoothly into an amazing, world-class e-commerce store. I am looking forward to a continued relationship as I will be using them for years to come. Interested in discussing a project ? We help the world's greatest companies drive business growth with technology. © Copyright 2019 doyenhub. All rights reserved.